Our Tasting Room is a rustic space, full of charm and available to rent for events up to 50 guests. It is open year round for complimentary wine tastings, 1-5:30 pm, Wednesday-Sunday. 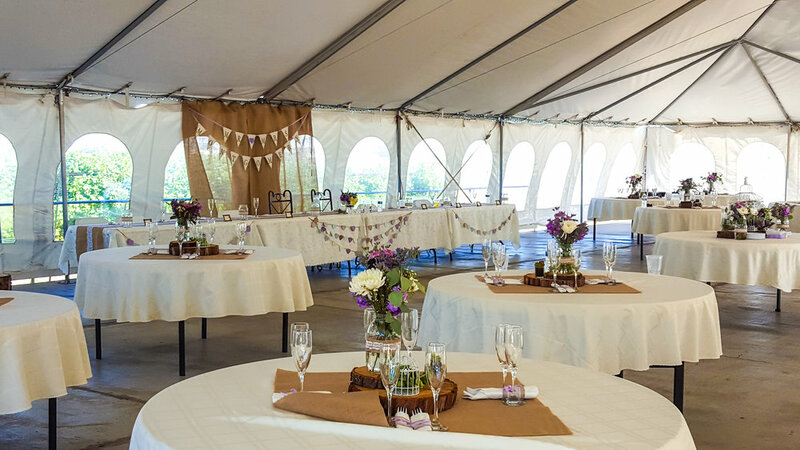 Adjacent to our vineyard is our large white tent (40' x 80') with seating for 225 guests. Our venue is a beautiful outdoor site for both weddings and receptions as well as all other kinds of events including quinceaneras, funerals, baptisms, first communion parties, class reunions, graduations, and other social functions. The north end of the tent offers a lush courtyard with terraced waterfalls, perfect for exchanging vows. Directly east of the tent is the vineyard (nice backdrop for the head table! 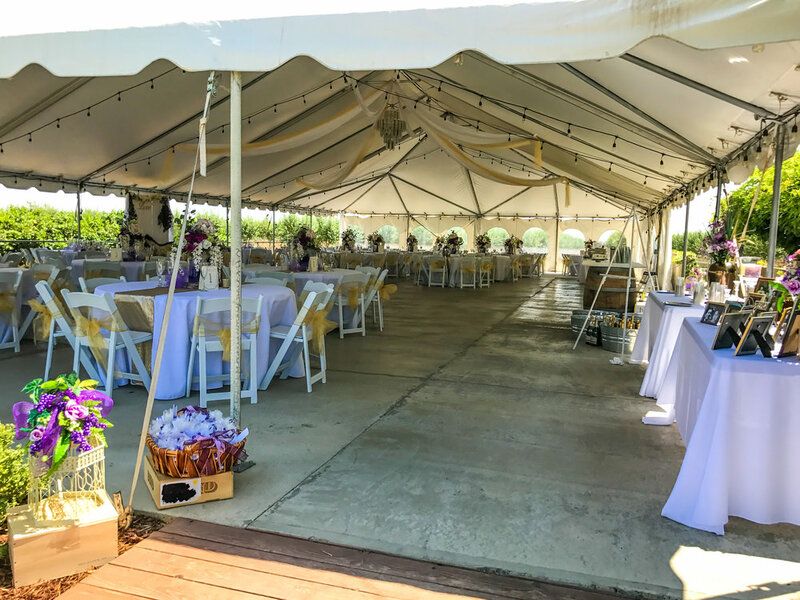 ), and down the gentle ramp to the west is a large courtyard that connects the tent to the tasting room, bridal dressing room, 4 restrooms, VIP parking, and two inviting wisteria-covered seating areas. 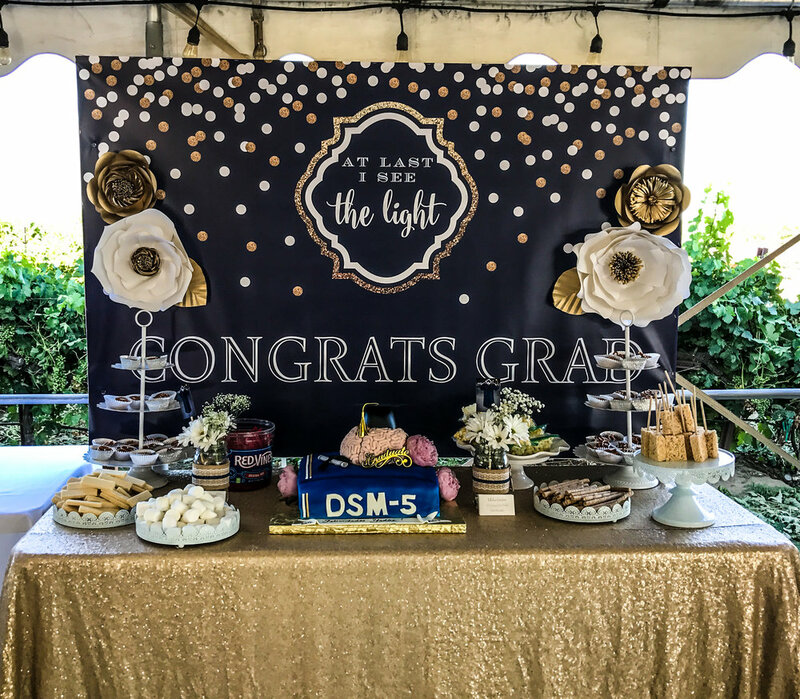 We have soft, romantic lighting throughout the venue (including tiki torches), plenty of parking, and lots of photo ops around the vineyard. CONTACT | If you’re looking for a venue for your event, give Mel a call at 530.304.3702. Contact us to set up an appointment to tour the vineyard, its spaces and to discuss your event.